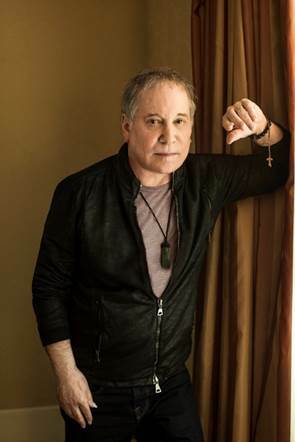 Paul Simon, his touring days over, has been announced as the headliner at the annual Outside Lands festival. The surprising news was revealed on March 22 that the singer-songwriter legend will return for a special live performance to close the 2019 edition of the annual festival on Sunday, August 11. He’ll be joined at the festival by his wife, Edie Brickell, whose band, New Bohemians, will also be performing. The full festival lineup – which runs from Aug. 9-11 – was revealed March 26. From the March 22 announcement: “While no longer touring, Simon has previously stated his commitment to perform the occasional concert in benefit of philanthropic organizations he supports, particularly those in the area of environmental protection and ecology. Outside Lands’ location in San Francisco’s Golden Gate Park, combined with the shared environmental initiatives of the Festival producers provided Paul Simon this perfect opportunity. To this end, Simon will be donating the entire net proceeds from his Outside Lands performance to local environmental non-profit organization(s) to be announced shortly. Simon’s finished his “Homeward Bound” farewell tour on September 22, 2018. In addition to Outside Lands having the highest waste diversion rate of any music festival in the U.S., it also features a number of dedicated programs entirely focused on sustainability and environmental education.